Quality flood coverage for your house, condo, or personal property. As a homeowner, condo-owner or renter, you need flood insurance that protects your home and personal possessions. Whether your situation involves low, moderate or high risk for flooding, Clarke and Sampson can provide this coverage through the NFIP at the level that’s right for you. In a low-to-moderate risk area. You may be eligible for a preferred risk policy if your home is in a low flood hazard zone designated by the Federal Emergency Management Agency and has limited flood loss history. This is simple, straightforward, and very affordable coverage. In a high-risk area. Even if you have lived in a high flood hazard zone designated by the Federal Emergency Management Agency, you can still get what you need from a standard flood insurance policy. Your rate is based upon the flood zone, the age and type of home, and the amount of coverage you choose. Clean-up reimbursement to cover costs of cleaning your home and removing debris after a flood. By federal law, a flood insurance policy doesn’t go into effect until 30 days after its purchase. 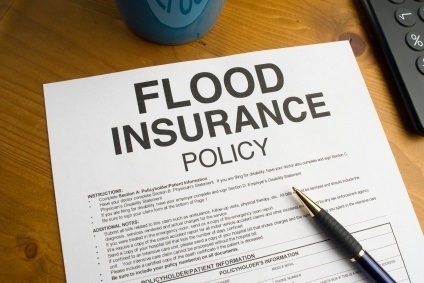 However, if you purchase your flood insurance policy in connection with your mortgage closing, the policy will be effective at the time of closing. The cost of flood insurance is minimal when you consider the enormous expense of repairing or replacing your home and possessions after a devastating flood. To make it even more affordable, Clarke and Sampson offers all of the NFIP increased deductible options which provide premium discounts. Federal disaster relief is available only if a federal disaster is declared, which occurs in less than half of all floods. Flood insurance pays for your covered losses, even if a disaster is not federally declared.